Need help to Live at home for longer? Getting a little bit of “help that comes to you” from St Louis Home Care Victor Harbor can help you maintain your independence. Our qualified and trained carers help you meet your wellness and lifestyle goals through a range of care and services to suit your needs. Here at Southern Cross Care, we have a great deal invested in the wellbeing of the people of the Fleurieu Peninsula. We provide a range of vibrant and caring communities accommodating both independent living and aged care. If you’d like more information on any of our communities or services contact us today. 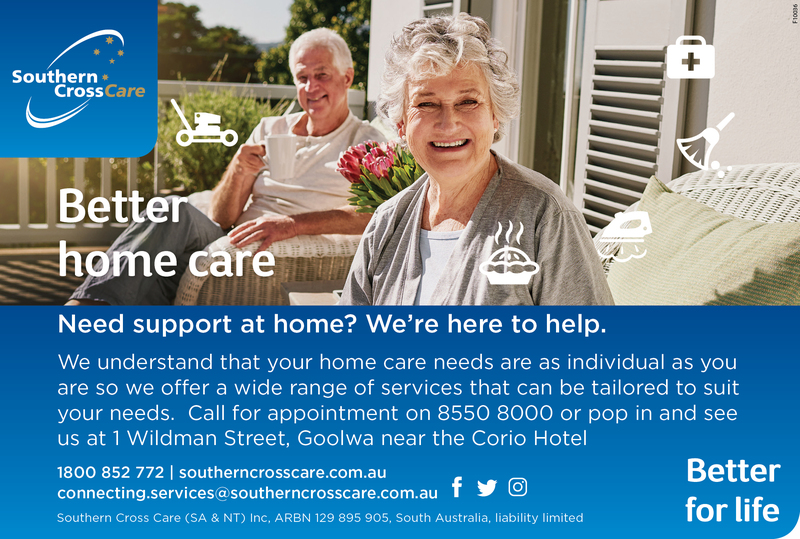 Support at home or residential aged care on the Fleurieu Peninsula. 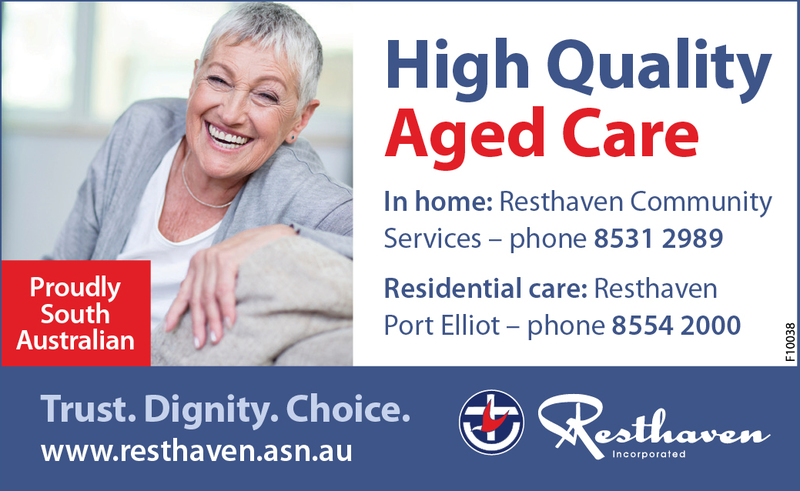 Resthaven has been providing outstanding care and support to older people and their carers since 1935.